Media Size: B 11" x 17"
Laser Print Paper maximizes the quality of high-resolution laser printer output. Ultra smooth surface is ideal for up to 2,400 dpi resolution. Acid-free, archival quality extends the life of the document. 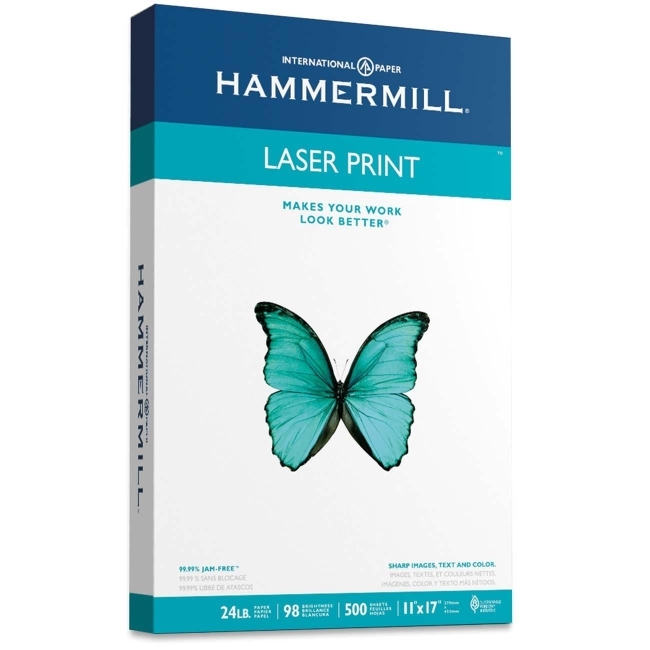 Paper is recommended for presentations, manuals, proposals and other high-quality laser printer applications.